You can find Barbara here and here on Ravelry. 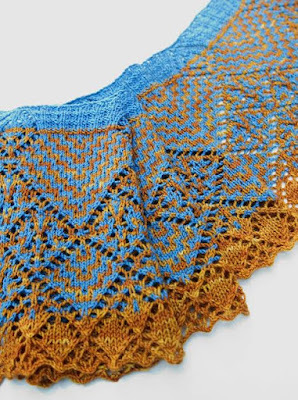 Much of my design is driven by the technical aspects of knitting itself. I spend hours looking at stitch dictionaries and swatching. Many times I will begin with a stitch and then change something to see how it will affect the look of the stitch. I often end up with a swatch over a foot long that charts the evolution of a stitch into something completely different. I also consider my work to be very yarn driven. The same swatching process happens with me putting a new yarn through its paces to try and discover what it does and does not like. In the end the yarn usually tells me what it wants to be. But you can also see my personal love of the Art Deco movement shining through in many of my pieces and my decidedly geeky side shows up in many of the names I choose for patterns. I love lace but if I am honest with myself I think that slipped stitches show up more than anything else. The interesting ways you can manipulate texture and color with slipped stitches always seems to draw me in. I am an accessory designer so size ranges really aren’t much of an issue for me. The closest thing to “sized” pieces would be the hats that I design and they normally come in a S/M and a L/XL so that they can be worn by both men and women. Luckily head sizes do not vary as wildly as other body parts. 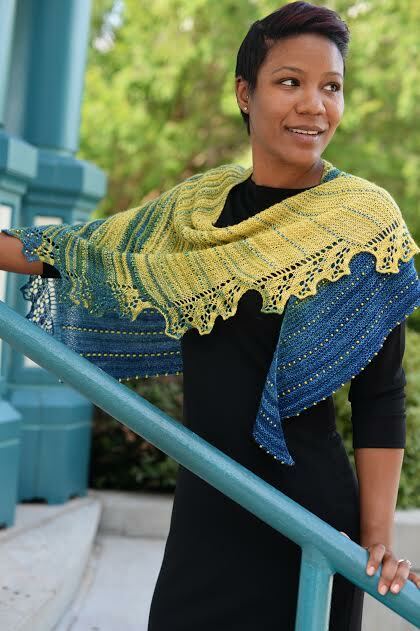 I am constantly looking at what is going on in the knitting world which includes the designs coming out from other designers. Not only am I not afraid to be influenced by others designs, I want to continue to learn and be inspired by them. Some of my most rewarding moments in this industry have been ongoing conversations with other designers where I am learning from them and sharing with them thoughts and ideas that I have had. I cannot see inspiration as a one way street and I believe any influence will only propel us all to higher levels of creativity. 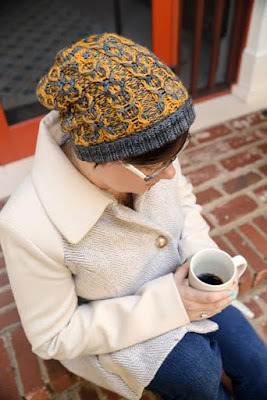 I can say that the majority of my production comes from my hands, but there are times where I have multiple commitments or tight deadlines and I need to use sample knitters. I have 3 or 4 wonderful knitters that I have worked with and they are a godsend. I should probably figure out how to make better use of sample knitters to increase my productivity, but so much of my design process is experimental and on the needles that I find it difficult to create a fully worked out pattern to send off. I’m afraid not. I probably should but I’d rather spend my time knitting. 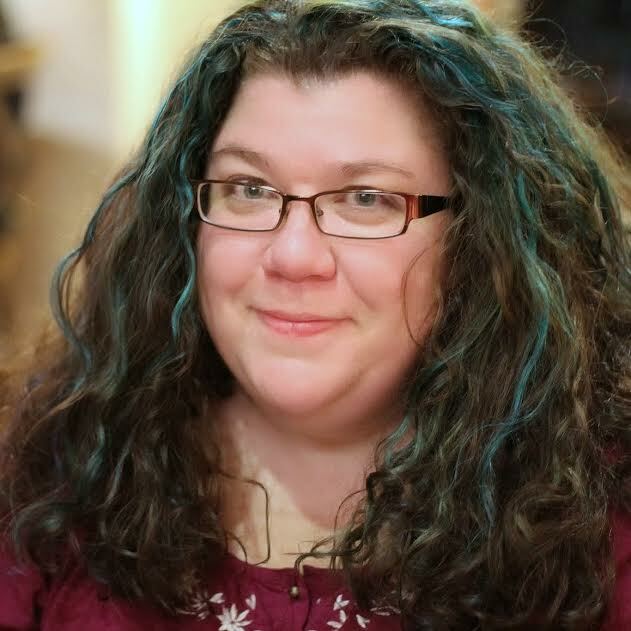 I cannot say that I have had any single individual as a formal mentor, but there have been many designers I have encountered that have been very generous with sharing their experience and knowledge. Of course! By the time I have finished writing a pattern it has almost blurred into hieroglyphics. There could be glaring errors in it and I would never see them because I know what it is supposed to say. I have used several different tech editors and on particularly challenging patterns I have been known to send the same pattern to more than one in succession - just to make sure. I have had to make sure I carve out time for both myself and my family. Convincing myself that the hour I spend at the gym every morning is not “wasted” time has taken a while, but I sleep so much better on days where I exercise. It also helps that knitting is pretty portable. 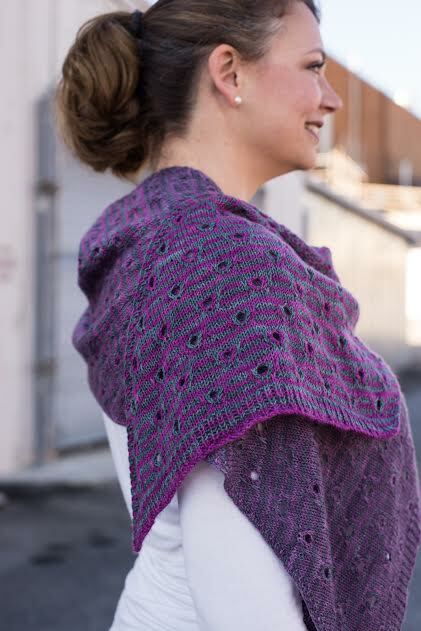 I can carry it along to events and spend time with family while at the same time knitting away. It was also very helpful when I moved my home office out of my bedroom and into a room in the basement. I can go upstairs and be not at work! That particular goal hasn’t happened yet and honestly, I don’t know that it will as long as my son is still young. For me to earn enough to consider myself self-supporting I would have to significantly increase the amount of teaching that I do, and that would require much more travel. Lurk. Listen. Learn. There are a myriad of sources out there on the Internet today (including this very blog) and it would behoove you to spend time learning about the industry before you jump right in. 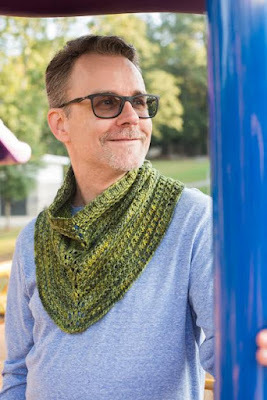 The Internet provides for an unprecedented ability to connect directly with the knitting customer on a large scale, but this very inter-connectedness allows for a very large platform where you can make very visible mistakes that aren’t easily erased. The expectations of the knitting public have become quite high and if you want to be considered as a professional then you need to comport yourself as one from the get go. I have a book coming out on March 1, 2017 from Stackpole Press. The name of the book is Mosaic & Lace: 20 Innovative Patterns Combining Slip-Stitch Colorwork and Lace Techniques. For the last few years I have been developing this concept of fusing mosaic colorwork with lace knitting to create colorwork lace. 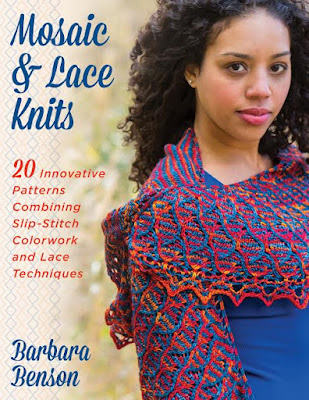 This book details all of the tips and tricks I have discovered along the way and then applies them to projects for knitters. Do you Remember the Scarf Craze? How Much do Knitting Pros Make?